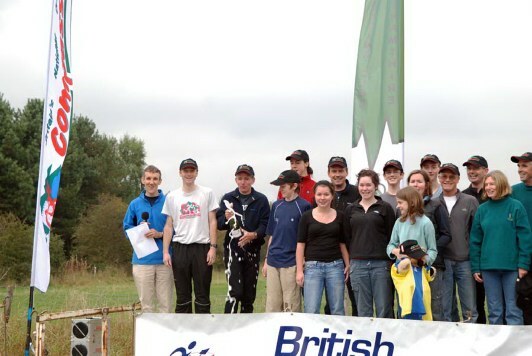 The Final was hosted by Walton Chasers on a bright sunny dry day. SYO were winners of the Cup and INT winners of the Trophy. Cup: The winning team qualifies for the Final. If BOK win, then the second placed Cup team qualifies for the final. Trophy: The first and second placed teams qualify for the Final. 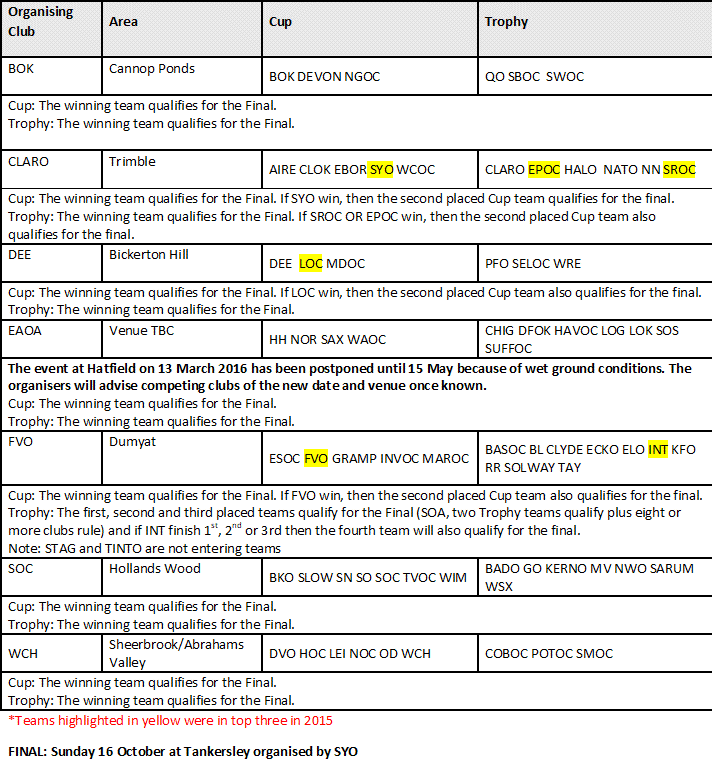 If either SBOC or WIM are in the first two places then the 3rd placed club also qualifies for the Final If both SBOC and WIM are in the first two places then the 3rd and 4th placed club also qualify for the Final"
Note: MWO has not yet entered. They can enter a team, subject to the event organisers agreement. Cup: The winning team qualifies for the Final. If SYO win, then the second placed Cup team qualifies for the final. The Compass Sport Cup eliminator rounds were held on Sunday 12 March 2017. 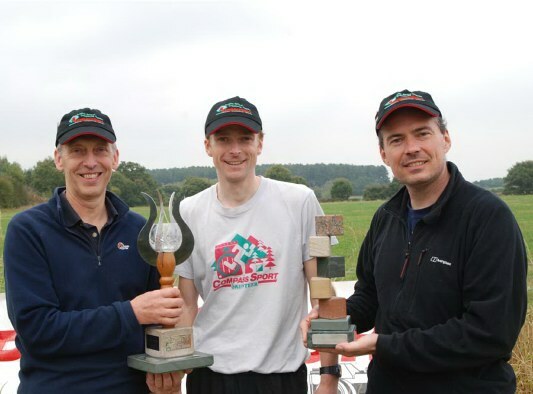 There were some close results in the Trophy competition, WCH beating POTOC and SROC beating BL, each, by just 2 points. In the Trophy SAX, MOR, GRAMP and BASOC qualify, having not been to the Final in the last 5 years. Sixteen of the 25 clubs that have qualified for the 2017 final, did not take part in the 2016 Final. The following clubs have qualified for the Final hosted by Devon and KERNO on 22 October 2017 at Virtuous Lady, Yelverton. Trophy: SARUM, CLARO, SUFFOC, SAX, LOG, INT, MOR, GRAMP, BASOC, WCH, SROC, WIM and KERNO as a Final organising club. As an incentive to host the Final the 2017 rules, (updated version to be published shortly), grant the club organising the Final a place, if they do not qualify. Compass Sport would like to thanks the organising clubs, BKO, CLOK, HH, LOG, KFO, POTOC, SROC, SWOC and WIM for hosting some excellent events. 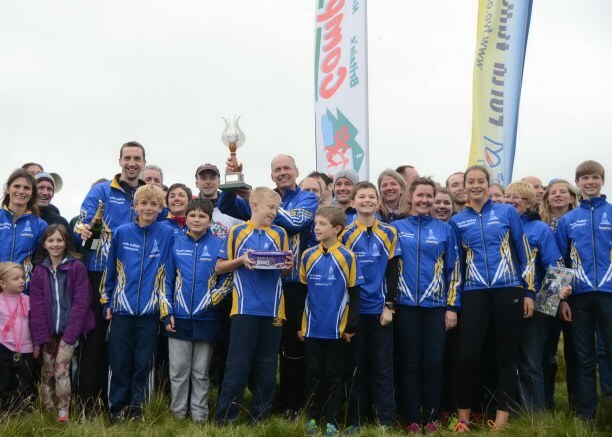 The Compass Sport Cup and Trophy Final was hosted by South Ribble OC at Helsington Barrows, Kendal on 18 October 2015. They provided a well organised and planned event with commentary, live results and mementos for the thousand plus competitors taking part. In the Cup competition Forth Valley in their first year in the Cup won by over 100 points, with Lakeland second just 4 points ahead of South Yorkshire in third place. Last year's winners Bristol were fourth. In the trophy competition home club South Ribble were the winners, beating Interlopers who tied on scores with them, as the South Ribble fourteenth scorer, scored more points. East Potteries were placed third. The 2016 eliminator rounds are on 13th March 2016 with the Final being hosted by South Yorkshire on 16th October 2016 at Tankersley, near Barnsley. Entry forms for 2016 will be sent out to club contacts by the end of October. 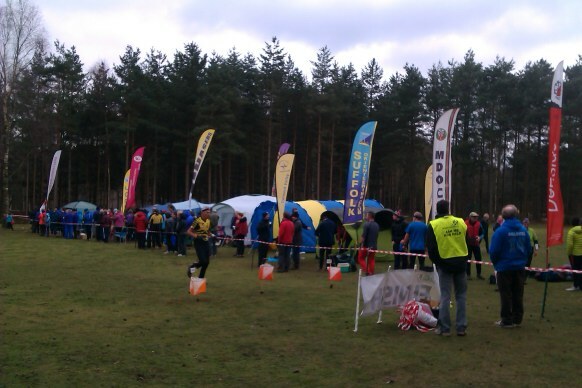 Finish at Sherwood Pines where 700 people competed. The WCOC round was close with LOC beating WCOC by one point. In the HOC round in the Trophy SBOC beat neighbours SWOC by one point. Note: STAG and TINTO are not entering teams and FVO has opted to enter the Cup. Trophy: If SROC win then the first and second placed clubs qualify for the Final, if not, then only the winning club. Cup: If SN win then the first and second placed clubs qualify for the Final, if not, then only the winning club. Cup: If BOK win then the first and second placed clubs qualify for the Final, if not, then only the winning club. Trophy: If SARUM win then the first and second placed clubs qualify for the Final, if not, then only the winning club. 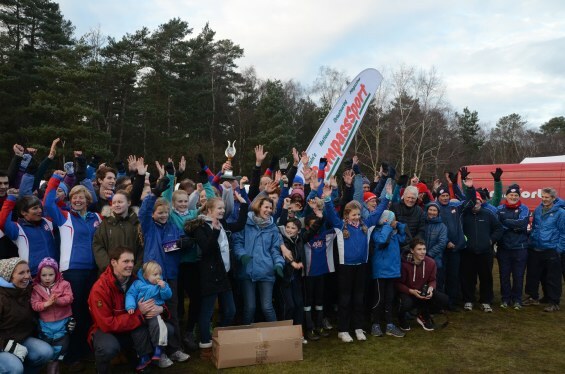 and assisted by Guilford Orienteering and The British Army Orienteering Clubs at Long Valley near Aldershot. results and several caterers providing hot drinks and food on a chilly but dry day. Marquees were available for shelter. 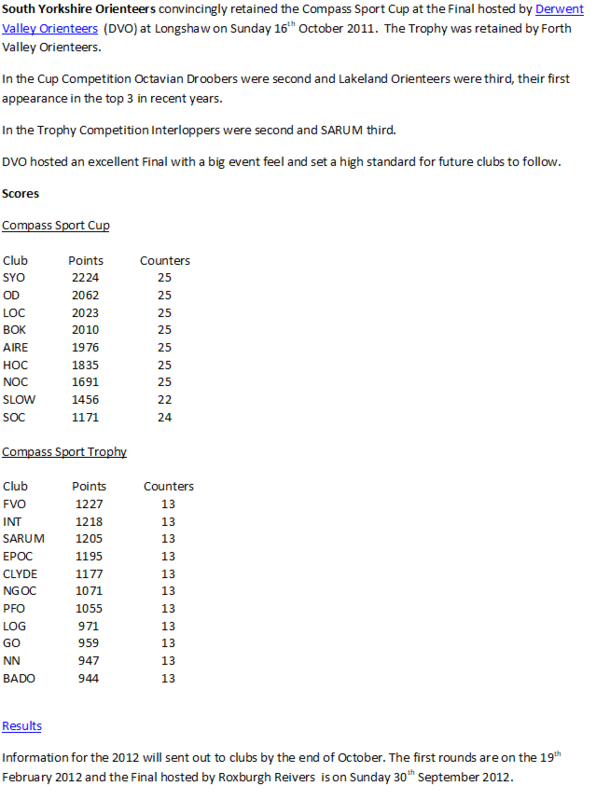 host club third with 2281 points, pushing previous top three club for many years, Octavian Droobers into fourth place. Forth Valley retained the Trophy with 1289 points defeating South Ribble on 1256 points closely followed by Sarum with 12 45 points. The 2014 Final is being hosted by Sourthern Navigators on 14 December 2014. Held in the Forest of Dean, Sunday 20th October 2013. 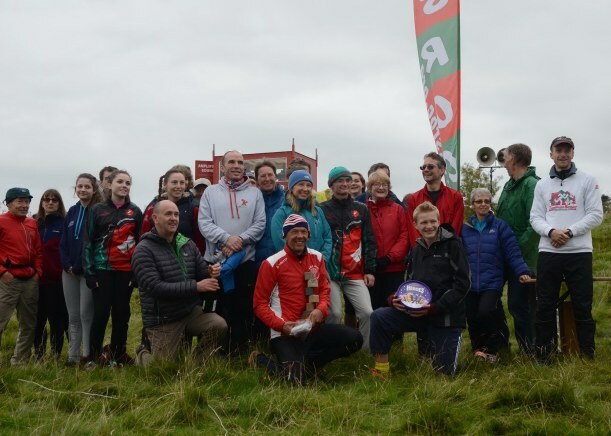 A clash with the British Fell (FRA) relays, being held in Llanberis, meant some teams, and especially Lakeland, were some runners short, but there were seven hundred entries to enjoy the well planned and challenging courses, in good weather until the late rain. There were five full teams in the Cup Final, and nine small clubs fielded full teams in the Trophy Final. There were clear victories for Bristol in the Cup and Forth Valley in the Trophy. This was Forth Valley's seventh consecutive win. By contrast in Bristol's case their win followed seven years of reaching the final and not winning - their position ranging between 2nd (2010) and last year's 9th. The Trophy - 1.FVO. 2.RR. 3. NGOC. FVO. Some years it is close in the Trophy, but this year wasn't one of those. FVO were a long way from home, but such was their strength this year they would have won even without their two class winners - Frances Brown in Light Green women's and Jon Cross in Blue men's. RR. Roxburgh Rievers, last year's hosts, with three surnames providing nine of their 13 counters, ran well to make it a Scottish 1-2. They won five courses, including Doug Tullie's best run of the day on the men's open. 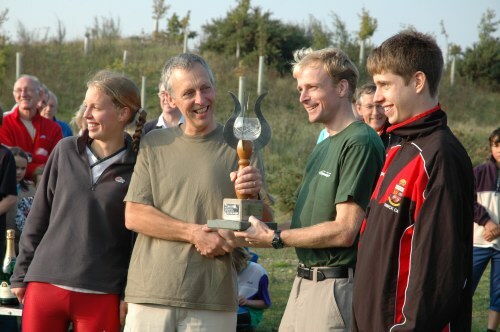 Local club North Gloucester were third, and Wimborne were fourth. 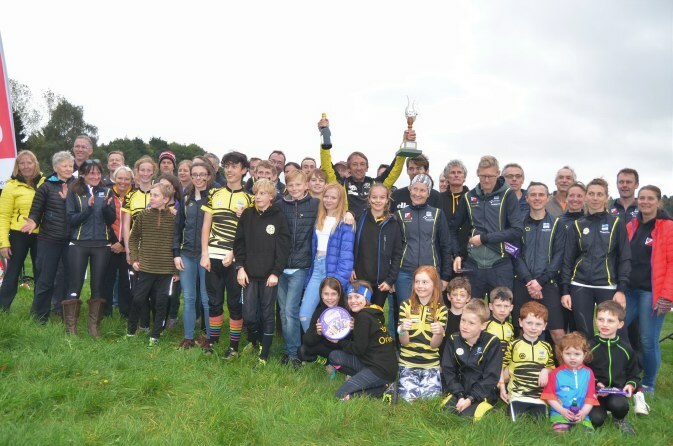 The best junior contributions to overall scores in the Trophy came from 5th club Essex Stragglers and 6th club Pendle Forest. East Pennine were 7th, with Megan Harrison winner of the orange women's course. 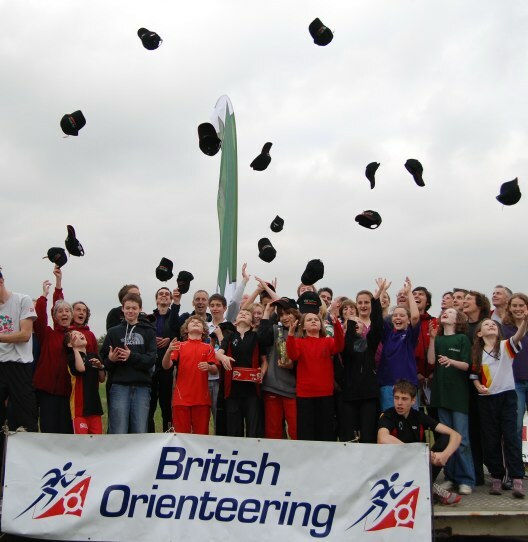 The Lincoln Orienteering Group were 8th, and Mole Valley 9th. The Cup - 1. BOK. 2. OD. 3. LOC. That's not the whole picture though. Sure BOK did have a huge turnout, and when we look at how their score was made up we see, as is usual for a winning team, that they had scorers in all 10 classes. 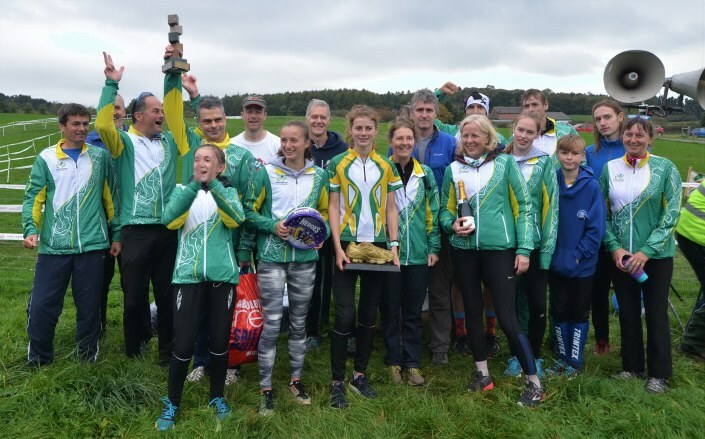 But their profile is significantly different from the other teams, with their win founded on a full complement of eight scorers in the junior classes, team wins in both the men's open and second men's classes, and a tied win in the women's open. The classes that mattered least to them were the green men and the short green vets, classes in which every other team had more counters - with LOC particularly strong on green men and DVO particularly strong on green vets. LOC also won the women's green class. In a sense whilst the other clubs all take points off each other in the older senior classes, BOK made hay in the junior and open classes. Some highlights for BOK are Chloe Potter and Eddie Narbert's wins in the juniors, packing 3,4,5,6 on the men's open, and M50 Clive Hallett getting amongst the four fast juniors in the blue. Second were 2005-2007 winners Octavian Droobers (OD). They put in a sound all round performance, with the highlight being their junior performances. They did very well on the older juniors classes, including Matthew Elkington's win on light green. 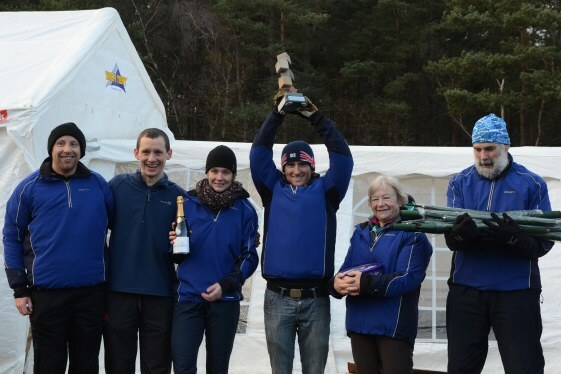 Other juniors - both junior internationals this year - won classes shared with 45+ runners: Will Gardner the Blue men's, Julie Emmerson the Green women's. Third this year were regular finalists Lakeland (LOC), last year's runners up. They did very well in the veteran classes and the younger juniors, but were weakest of the five in the open classes, at least partially because of the clash with the FRA relays. They had one course winner in Daisy Fletcher-Coony on the Orange women's. Derwent Valley (DVO) were fourth. Like BOK they had counters in every class, and they had the second highest number of counting juniors. 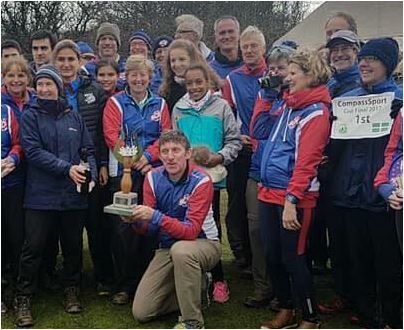 They caused the shock of the tournament when they won their qualifying match against South Yorkshire (several times recent winners, most recently in 2011) and they brought the second largest team to the final. Captain Liz Godfree won the vets course in a 1-2 with Judith Holt. A fine 2013 campaign. Southdowns (SO) were fifth. They scored reasonably across all six senior classes and had three counters on light green men, to take them ahead of half the other teams that qualified for the final. 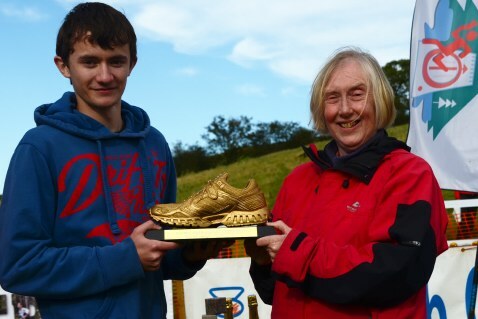 They provided the women's open winner in Karen Poole. their non scoring runners who pushed SYO runners down made the the difference between winning and losing. they took 4 points off us. That’s a net swing of 26 points in our favour and that is what could be said to have won us the match – without it we would have lost by 4 points." Congratulations to all the clubs who qualified for the Final, eight different from last year. Many thanks to the clubs who hosted the qualifying rounds. Congratulations to the winners of the Cup, AIRE and FVO who reatin the Trophy. 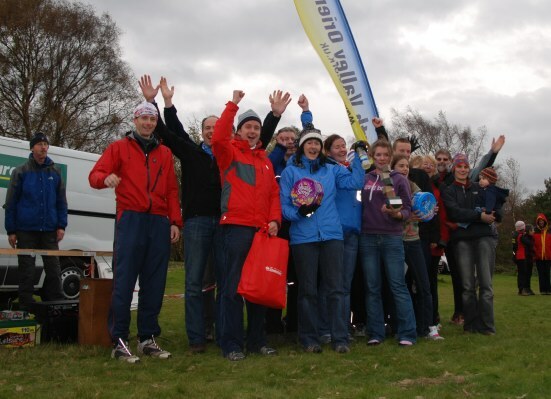 RR hosted a really well organised event in very trying weather conditions. 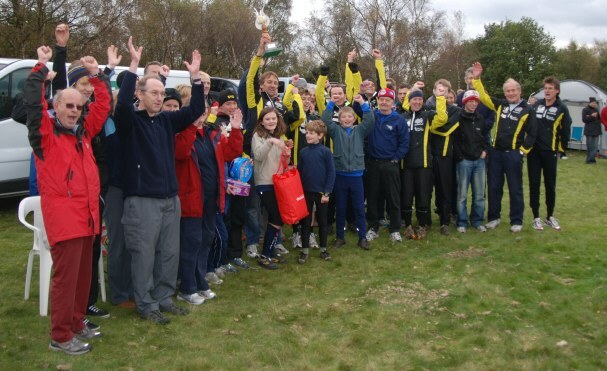 The final was hosted by SYO on Burbage Moor. The first round has produced some close results and new finalists. and WIM defeat SARUM by a point. SEOA Round SO win the Cup round and MV sneak through 2 points ahead of GO in the Trophy. OD Hat Trick - 3 Cup wins in a row !